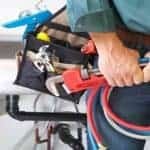 Boiler Repair in Islington – A&C Heating and Plumbing Ltd.
Our boiler repair in Islington turnaround is fast, with 65% completed within the first hour. Our boiler maintenance contracts offer regular boiler servicing to ensure that your system works throughout the year. Repair vehicles are stocked with high-failure boiler parts. If a part is required that we don’t stock, replacement parts can be sourced and supplied within the same working day. We understand how inconvenient boiler problems can be. This is why we aim to repair boilers as quickly as possible, with minimum fuss or expense to you. 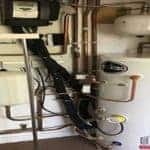 We specialise in providing high quality-value for money Vaillant boiler repair in Islington on all models of Vaillant boilers to a clientèle based and living in London, we carry with us a large stock of replacement parts on our vehicle to ensure fast and efficient breakdown services. Having your heating break down can be stressful, but should the worst happen we’ll be on hand to help you get it fixed. Carbon monoxide poisoning can be fatal and is caused by faulty or poorly maintained gas boiler. It is vital that you get your boiler and gas appliances inspected and serviced regularly to make sure they are working as safely and efficiently as possible and to prevent breakdowns and the need to repair. 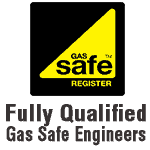 What will the Gas Safe registered engineer do during the Boiler Repair or Service? Gas tightness test to ensure there are no gas leaks throughout the gas pipework system. A flue test to ensure there are no unsafe emissions from your boiler. Gas pressure check to ensure the gas boiler is operating at the correct gas pressure. Inspect your gas boiler and controls to make sure they are operating safely. Visually inspect the gas boiler to check for corrosion and leaks. London boiler repair services with 24 hour Emergency repair engineers in your local area. 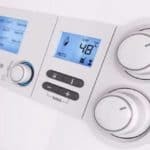 A&C Heating and Plumbing are qualified and experienced in a range of boiler and heating services. 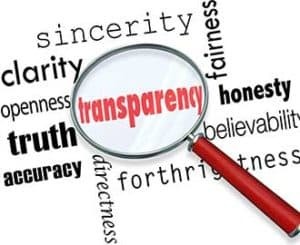 Below is a list of the areas that we cover. Ealing, Fulham, Hammersmith, East Ham, Tottenham, Islington, Harringay, Notting Hill, Pimlico … We cover the entire London area, including northern, eastern, West London. Our promise to you is that our engineers will always be polite and professional, that they will clearly explain the work you need to repair your boiler. 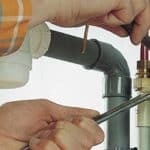 To get a free quotation for all of your plumbing and heating work, complete the form provided and we will be in touch with you as soon as possible.